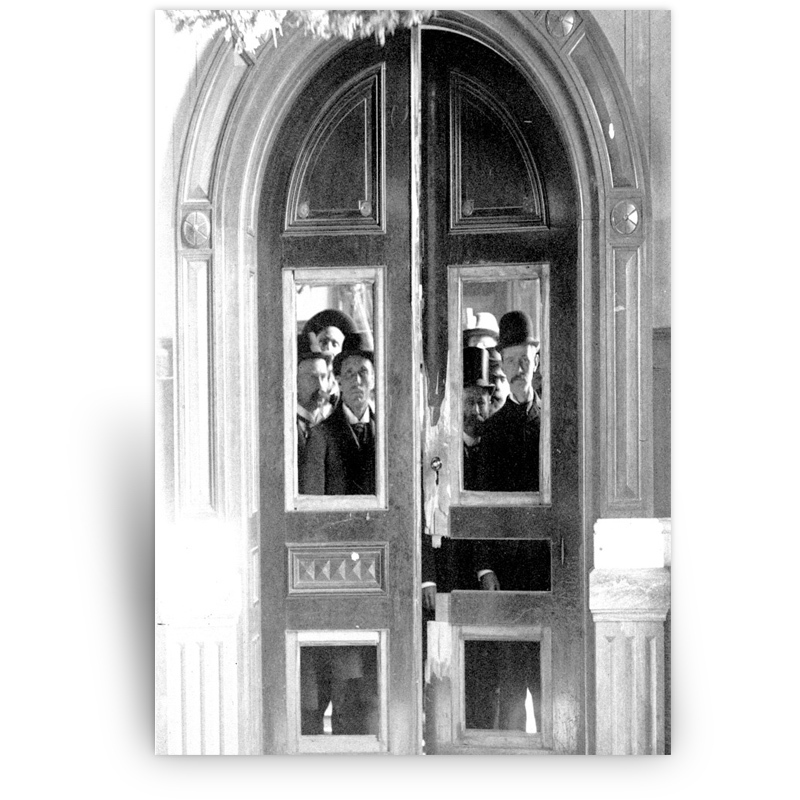 This photograph shows the Kansas State Capitol House of Representatives door after it was damaged during the Legislative War in 1893. Both Republicans and Populists claimed victory after the 1892 elections. Contests were still being disputed when legislators convened in January 1893. When Populists locked themselves in the hall, Republicans used a sledgehammer to break down the doors. The state supreme court ultimately ruled in favor of the Republicans. From the collections of the Kansas Historical Society, the print was produced for the Kansas Historical Foundation.